Santiago Solari was impressed with the "character" shown by Real Madrid as they claimed an "ugly" 1-0 win away to rock-bottom Huesca on Sunday. Gareth Bale settled the match with a fine early volley, but it was otherwise a game that will not live long in the memory. Conditions were difficult in Aragon, with the wind in particular having an impact on proceedings at El Alcoraz. 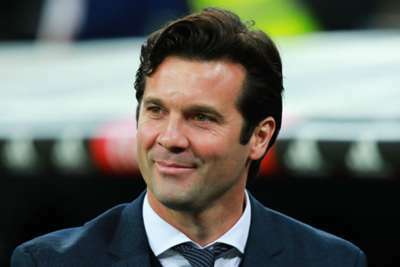 And, while Solari acknowledged it was a trying day, he felt it highlighted Madrid's strength of character. "The conditions are the same for both, but the wind has made the game ugly and it was very difficult to control and pass in," the Madrid coach said. "If you ask the players, it was less precise because of that. "I emphasise our character, because these games you have to know how to suffer and win them, we didn't know where the ball was going to fall and we are less adapted to this type of game. "There are times when there is no way to get out of an area. Sometimes you do not choose the area where you need to play. There are parts where the wind blows a lot. "That was not the only condition, because they pushed us very far. We were able to increase the lead, but we did not do it and we suffered because the other team pressured us, that's the way it is. "There are games that take place like this and to overcome them is a test of character, the team has had a lot of character. "They have left everything [on the pitch] with intensity. We scored when we had to score, we defended well and compact. "It's hard to play when there's such an atmosphere in favour of the locals and so much. That's where the character shows." The victory moved Madrid back into the top four, with Barcelona, Sevilla and Atletico Madrid ahead of them. After 15 matches, it looks like being one of the most open LaLiga seasons since the turn of the century, and Solari thinks that is a good thing. "I like contested leagues where anything can happen," he said. "It's been a while since we saw LaLiga like that, and we're going to enjoy it all."